Wednesday 25th November saw over 300 of the very best in social care attended a glittering awards ceremony at Norwich FC for the finals of the Great East of England Care Awards, where the category winners were announced. The Great East of England Care Awards, sponsored by Access Health & Social Care brought together the category finalists from across the East of England region. 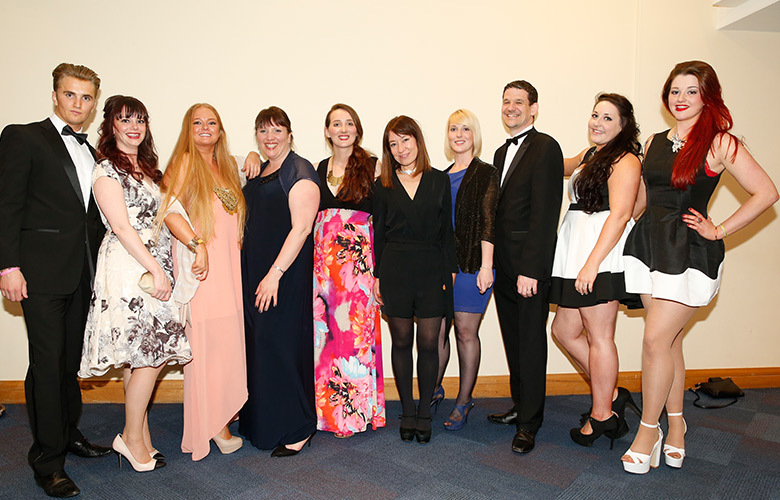 Winners of the Great East of England Care Awards will go through to the final at Birmingham’s ICC in Spring 2016. With an 87% retention of staff they are clearly getting it right in an industry notoriously difficult for keeping staff. The ethos which the company has created has a positive effect on staff and clients alike. Jackie’s passion for caring shone through. She puts the residents at the centre of everything whilst also supporting the families. She maximises independence and wellbeing and always puts a smile on resident’s faces. Kerry always goes the extra mile for her clients, building relationship and developing her knowledge to support them. She never gives up on a challenge and as a result has had some excellent, rewarding outcomes. Roxanne is an inspiration. Despite personal difficulties Roxanne is forging a career in the care sector, going above and beyond to deliver quality, person centred care. Wendy is an outstanding manager who always puts her residents at the centre of everything. By valuing her staff she empowers them to provide person centred, quality care whilst also supporting the familes. Quality Home Care was the first domiciliary company in the UK to be awarded outstanding by CQC. Their philosophy of having everyone in the business do 2 days per week of hands on care ensures complete understanding throughout the enterprise. Paul and Jane work so well as a team to meet and exceed residents’ nutritional needs. Your work is an amazing example of great care, resulting in healthy residents. Solomon demonstrated a great understanding of what dignity in care is and how it should be delivered across the care industry. His passion for creating independence and opportunity for choice really shone through. Jade is the youngest of the candidates for this category, but the passion and care she shows for her residents is incredible. Jade demonstrated what a wonderful industry this is and is a wonderful ambassador for the sector. Nicky Leaney, Sheree Bond an Laruen Taylor are an inspiring team. Care, passion and dedication radiates from all of the team. They create a wonderful home for their residents. Well done and keep loving your roles! Helen and Jamie exude passion and positivity. They push boundaries, are person centred and clearly do an amazing job. Carebase are lucky to have you! Shirley is so much more than a housekeeper. She exudes passion for caring for her residents and goes above and beyond to ensure their happiness and wellbeing. A huge asset to the care sector! Karen is an extremely inspirational lady who has drive and passion but also the heart for ensuring all staff understand the importance of delivering high standards of care for all individuals. The work Ernest and Sarah have one in identifying veterans in their homes and getting them recognised for their service is outstanding. They have really demonstrated an innovative way of putting people first. An extraordinary young lady who has achieved amazing outcomes in a complex field in such a short period of time. Clearly dedicated to her wonderful residents and staff, who all work very closely as a ‘family’ delivering very personalised care. A dedicated candidate, who has worked hard to achieve her position of lead nurse in a very demanding environment. Thoroughly deserved. Greg is the pillar that ensures that the services Precious Homes provide and develop, not only fit with the needs of the care market but they go above and beyond fitting the needs of the person supported. He uses his experience and knowledge in the learning from experience with in the care sector to develop safe responsive effective and well led services. He values his staff at all levels and goes that extra mile to ensure everyone feels part of the team. He is supportive and listens to all staff and service users and his passion to make peoples’ lives better.